For this new Colorado-based start-up, their company vision is more than just that, it is their whole lifestyle, and it all started July 2016. Today, they are launching Zealology and the Zealology Ring. It was a balmy summer night when founders, Patrick and Olivia, traipsed up to Red Rocks for a much-anticipated concert, one of their favorite bands, Twenty One Pilots. Little did Olivia know that Patrick was to propose to her that night, with a Ring Pop! Of course, she said yes, and proceeded to eat the Ring Pop. Once people asked for evidence of their engagement, they decided this might be the time to go purchase rings, so they picked up a couple black silicone wedding bands. It wasn’t long before Olivia became annoyed with her band. Thus the two began to develop the idea behind Zealology and the Zealology Ring. The Zealology Ring features medical grade silicone in a simple and attractive design. The packaging features a clean, black box, with a black, foam inset to hold the ring inside for perfect gifting as is. 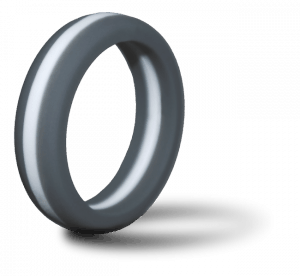 The Zealology Ring has a tensile strength or 178N, it is hypoallergenic, non-porous, non-toxic, scratch-proof, and weather-resistant. “We’re really happy with the new Zealology Ring. It looks great, it’s comfortable, and it doesn’t interfere with our activities,” Olivia said. “It’s really comfortable. I’ve worn it doing pull ups, biking, everything — It doesn’t get in the way or bother you at all,” added Patrick. More information about Zealology and the Zealology Ring can be found at https://www.zealology.com. The rings can be purchased on Amazon.com.